Fabien Castanier Gallery is excited to announce their next group exhibition in Miami, Ciudad Mágica, with new work from artists Hoxxoh, Andrew Antonaccio, and Michael Vasquez. While each artist conveys vastly different styles, they are all based in Miami, creating works inspired by the city's rich cultural history and dynamic aesthetic. Miami is often referred to as the Ciudad Mágica (the magic city), a nickname born out of the city's rapid growth. With its burgeoning transformation every year, the Miami art scene continues to evolve and this exhibition presents a focus on three particularly prolific image makers. 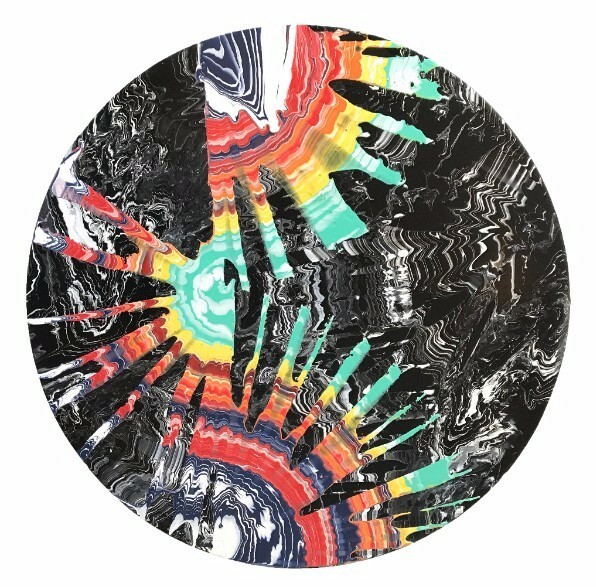 Andrew Antonaccio has become a strong force for urban art in Miami, most known for his black and white linear portraits and colored geometric abstractions created as part of artist duo, 2Alas. Now, Antonaccio presents his personal studio work that focuses on the juxtaposition of traditional aesthetics and the digital medium. He combines archived images with new era or modern photography, creating abstract compositions. 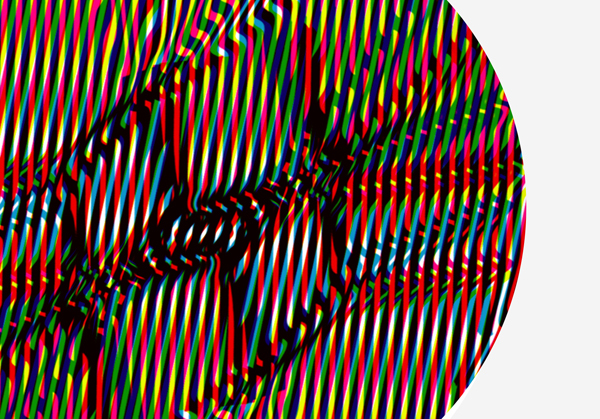 Some of his work even factors in an interactive element, in which capturing his pieces digitally will present an alternate appearance on the viewer's camera. He utilizes this unique characteristic as a commentary on the overwhelming digital experience of our current generation. Michael Vasquez's work explores a world of misguided youth, subjects who are in search of acceptance and belonging amidst undeserved communities, broken homes, street gangs, and cliques. With his portraits, Vasquez presents groups of "extended families", governed by their own sets of values and social codes. His work is deeply embedded with signs, symbols, and the performative bravado of his subjects, an examination of the reoccurring themes of masculinity, identity, and community. 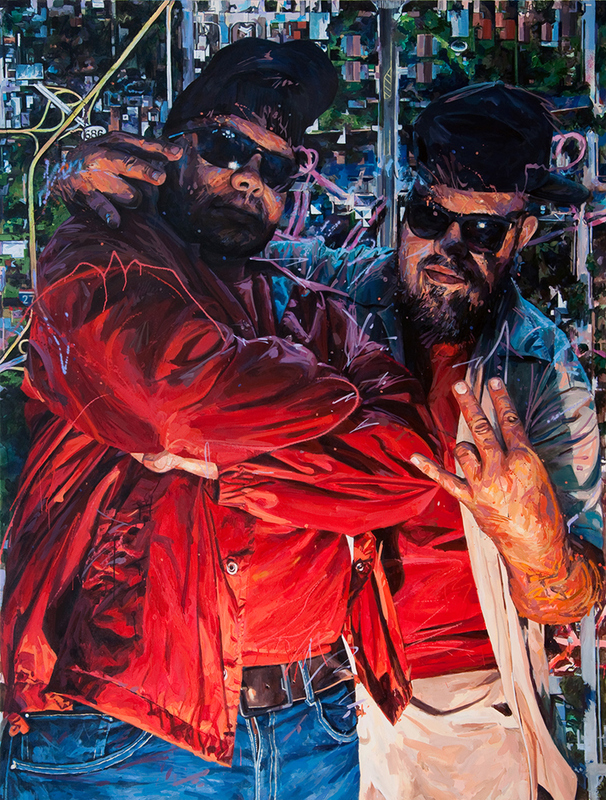 Vasquez's work has been exhibited in numerous institutions, including the Smithsonian National Portrait Gallery (D.C.), the MDC Museum of Art + Design (FL), the MOCA North Miami (FL), and the Orlando Museum of Art (FL). Irreversible Projects presents a very special exhibition in celebrating the new location of Artium Miami Gallery. An established gallery with 15 years in the art market, Artium Gallery is considered one of the most prestigious galleries in Chile. In 2015 the gallery opened their sister location in the Wynwood Arts District of Miami, Florida. They relocated the gallery this past summer to a new location in Wynwood at: 2085 NW 2nd Avenue in Miami, Florida 33127. 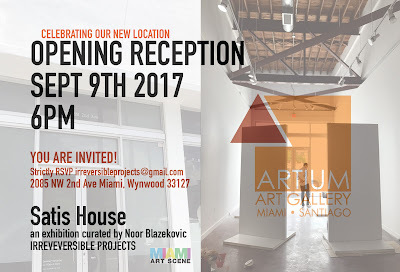 You are cordially invited to celebrate this occasion with us and enjoy the Opening Reception of 'Satis House' on Saturday, September 9th, 6pm at Artium Gallery's new location - this is a very special exhibition curated by Noor Blazekovic of Irreversible Projects. Satis House is a fictional estate in the Charles Dickens novel Great Expectations. ‘Yes,’ she replied; ‘but it meant more than it said. It meant, when it was given, that whoever had this house, could want nothing else.” ― Charles Dickens, Great Expectations. Entry Guidelines: Open to all professional artists; emerging, established, national and international artists over 18 years age. Eligible Media: Painting, Sculpture, Ceramics, Photography, Mixed media, Digital art, Installation art, Earth art, Video art, Textiles, site Specific installation, Upcycled Art, will be considered. Please be brief, send a .pdf​ ​include most recent works and prices for consideration. Are You a Professional Visual Artist Seeking Exhibition Opportunities During Miami Art Week 2017? 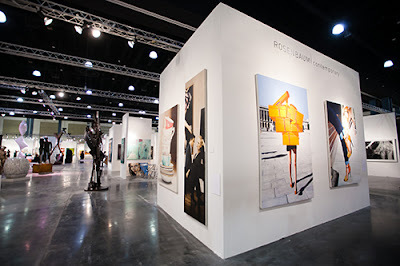 Call To Artists: Are you a professional visual artist interested in exhibiting your work during Art Week in Miami? MAS has access to a variety of exhibition opportunities available for artist projects during Art Basel Miami Beach taking place December 5-10, 2017. Call is open to all styles, mediums & genres from all local, national and international visual artists. 3M™ Window Films help block harmful UV rays, protecting fine art and design in homes, galleries and museums. 3M Window Film helps extend the life of artwork, paintings and furnishings by reducing 99% of UV rays, the largest cause of fading. 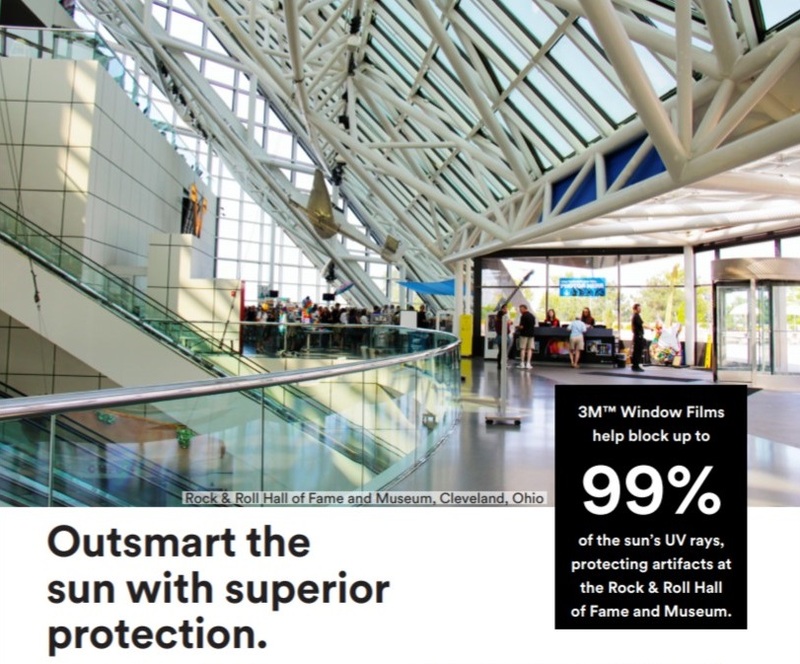 Outsmart the sun with superior protection using 3M Window Film. Sunlight can fade paintings, photographs and other valuables when unfiltered sunlight comes through windows exposing both occupants and furnishings to damaging effects of the sun, including harmful ultraviolet (UV) rays. While no film can stop fading completely, 3M films dramatically slow the progress of fading to keep your home and valuables looking beautiful longer. 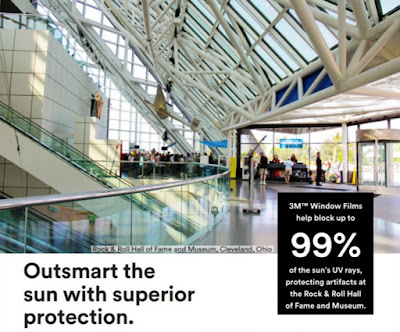 Museums and historic registered buildings around the world count on 3M™ Window Films to help protect their valuable collections from the damaging sun. Many historic buildings are equipped with old, single-pane windows that are inefficient at blocking UV rays that can harm the building’s many historical artifacts. The challenge then, is upgrading windows while preserving the look and feel of the building. In the case of museums, galleries, and art collectors where their mission is to protect priceless, irreplaceable artifacts, and expensive works of art, minimizing the sun’s damaging UV rays is essential. In both instances, 3M Window Films offers protection from UV rays, while preserving the building’s original architecture. The film’s virtually invisible appearance helps maintain existing aesthetic looks.